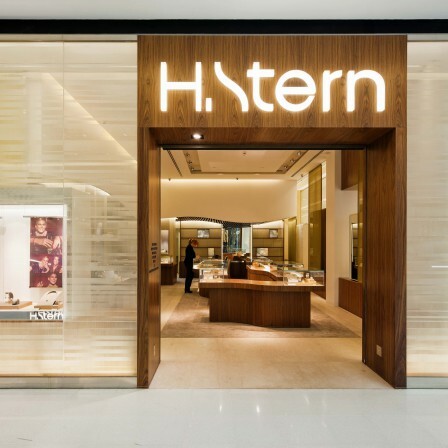 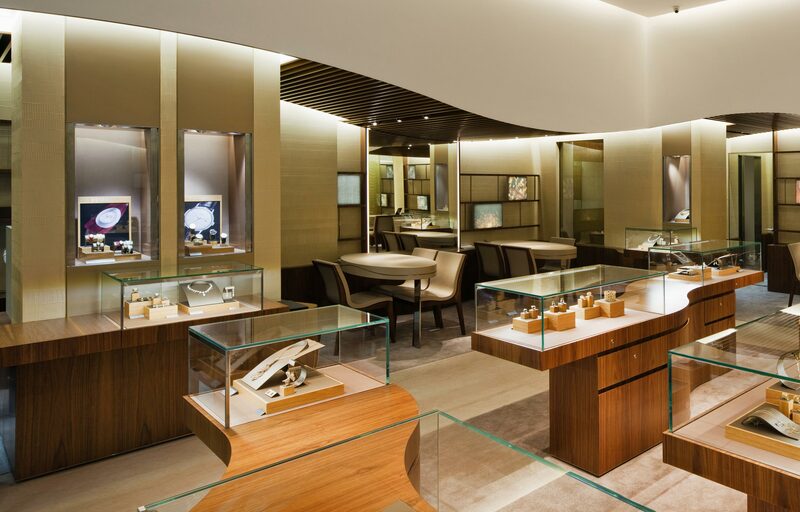 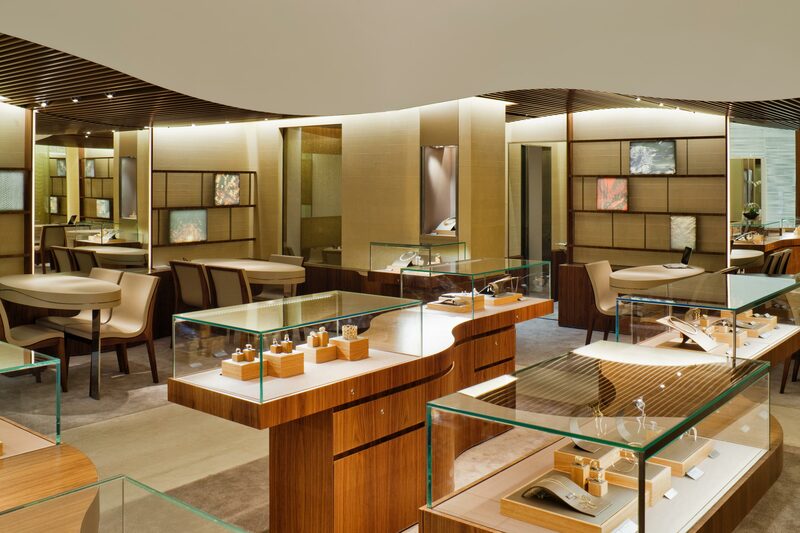 H Stern, the premier Brazilian luxury brand with an international reputation for creative jewelry designs with colored stones commissioned CARBONDALE to design their new stores. 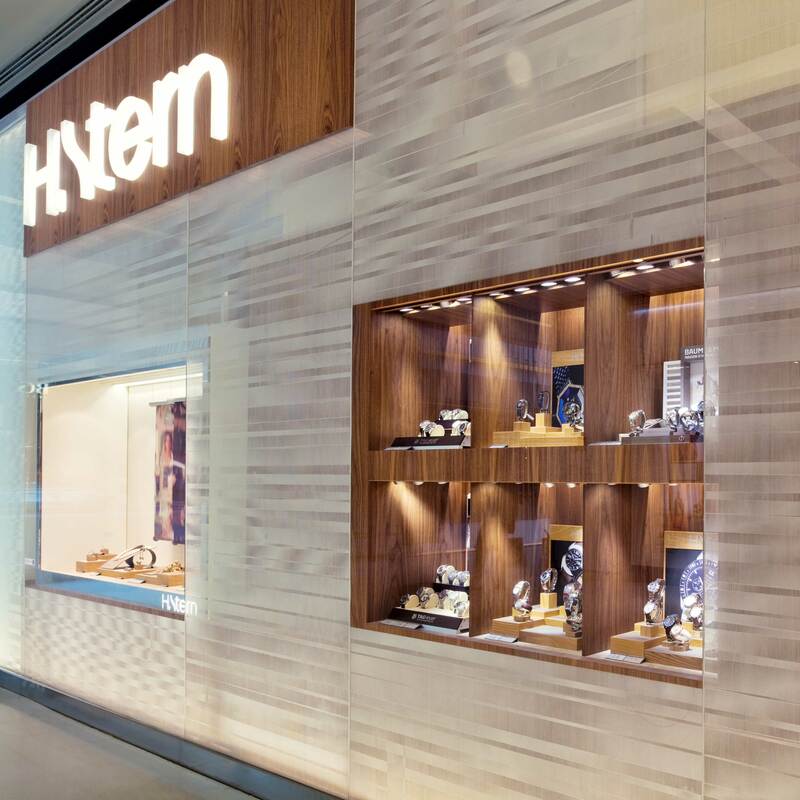 A cohesive spatial strategy was developed to establish the brand’s image at large, medium and small scales. 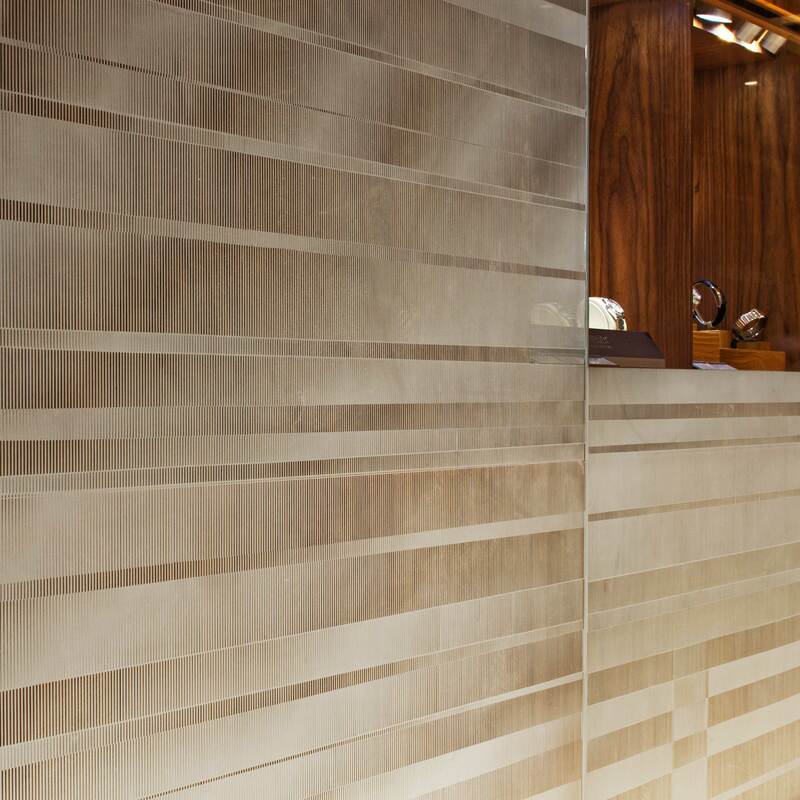 At the exterior, a façade veiled in etched glass creates an exclusive architectural curtain shrouding the customers within. 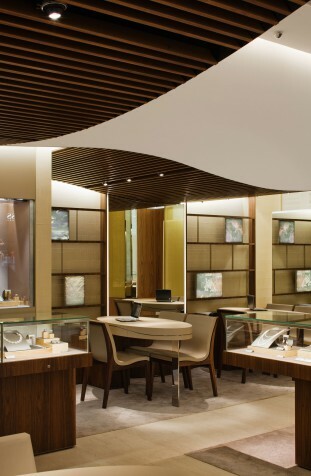 Flowing ceiling planes differentiate the voluminous central display area from the more intimate seating, office, library and lounge spaces at the perimeter. To allow the expression of the striking colored stone jewelry a list of refined matt-finished materials including marble, limestone, silk textiles, black walnut wood and leathers are selected based on color-tonal variations of H Stern’s branded “Noble Gold”.